This booklet is useful to submit college practical book, in your college before the beginning of your HSC Board practical examinations. It is also useful to the colleges which opened this course of 11-12th standard bifocal electronics. It will help them understand the practical experiments structure and conduct the routine practicals easily. The author of the notes is Prof. Dattaraj Vidyasagar, who is the long term veteran of bifocal and applied electronics subject. He has taught this subject to thousands of students since last 28 years. Note: To clear your doubts and confusions in 11-12th electronics study, you can also watch our FREE video lectures on YouTube. For that search on youtube.com as Vidyasagar sir&apos;s Lectures. PLEASE NOTE THAT THIS .PDF FILE IS PASSWORD PROTECTED. USE THE PASSWORD: VSA2018 TO OPEN IT. It is for your personal use only. Do not share it. 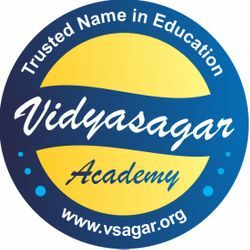 Vidyasagar Academy, Akola is a trusted name in the field of education. Visit our official website, at this link. If you liked our study material, please write Google Review about us.